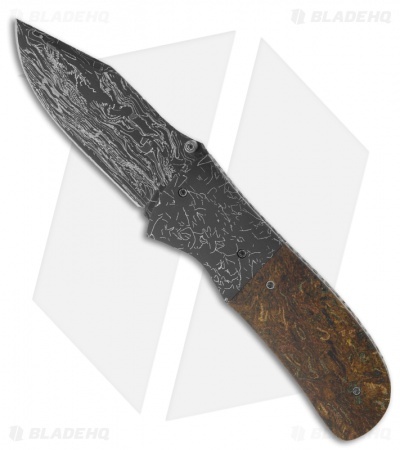 This First Responder knife is a fabulous folder that is destined to be an admired collection piece. The clip point style blade is "Wild Thing" Damascus steel with a swedge clip, thumb stud opener on front and stamped "Burr Oak Nevling" on back. 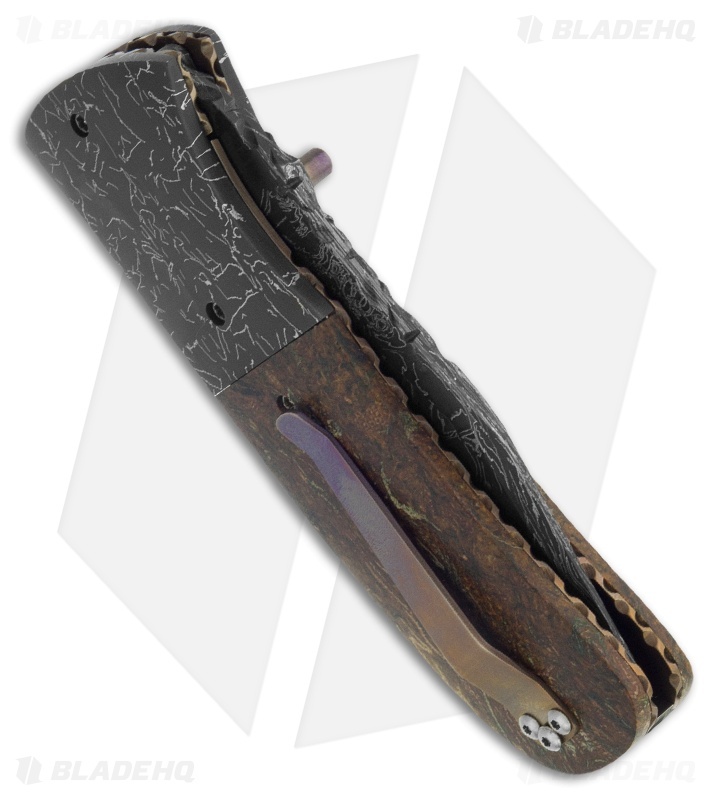 The handle features "Rat's Nest" Damascus bolsters and 15 year old Rag Micarta scales over titanium liners, with lock tab. The pocket clip is also titanium with a matching heat anodized finish. The steel back spacer is filed, along with the liners and blade spine. This knife comes with a signed certificate of authenticity, dated 3/5/13.